Do you ever do the “what’s for dinner?” game around 4:00 pm? Do you ever feel uninspired by your go-to dinner choices? Do you ever pull into the grocery store parking lot and just groan at the thought of braving the crowded aisles? If you’ve ever said yes to any of these questions you will be encouraged to know you’re in good company. The fact is that the old shopping model has changed and many people will avoid a store if they can help it. There were 2000 subscription box options as of March 2016 and that’s only increased! Subscription Box websites reported over 21.4 million website visits in 2016! Variety – Subscription boxes offer you variety that you wouldn’t normally provide for yourself. Humans are creatures of habit, and sometimes we need a gentle nudge to try something new. 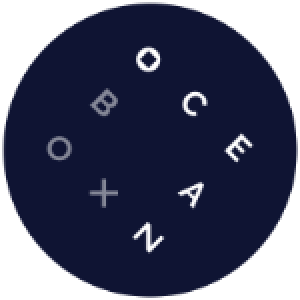 The variety that you can get in subscription boxes like OceanBox allow you to try out new flavors and recipes in an easy way. Time – Think about how much time you spend running out to the store. While some of us can be organized and make one shopping trip a week, the truth is that most people run out to the store daily or every few days. If you already had all the meat you needed for the week, you can make a meal out of a few other basic staples like rice, pasta, frozen veggies and spices. The amount of time you can save is really amazing when you think about all those five or ten minutes “quick” drives to go out and buy stuff for dinner! Brain Power – If you’ve ever felt uninspired by what to serve yourself or your family for dinner, know you’re not alone. Most people get into ruts and the proverbial ‘Ramen for dinner’ happens more often than you might think. We don’t want you to be eating boring food. Let us inspire your dinners with fresh fish and seafood. We’ll take the brainwork out of it and give you the foundation for your meal! Health – We all know that food on the go usually means “full of fat, grease, and sugar” right? If you haven’t planned ahead, often a last-minute meal option is not going to be full of nutrients. But, if you have healthy food being shipped to your door, it’s easy to eat healthy even if you’re a busy person. Fun – Getting subscription box in the mail is a fun thing for anyone, even if you paid for it yourself. It’s like having your birthday every month of the year! Subscription boxes save you time, hassle, and a few brain cells, all while providing fun, engaging solutions for your life. At OceanBox, we’ve worked to create the perfect solution to those who want to try out and explore fresh fish and seafood every month. Let us help provide you a healthy, easy, and delicious way of eating!